Ajam is a London based band that formed in early 2010. 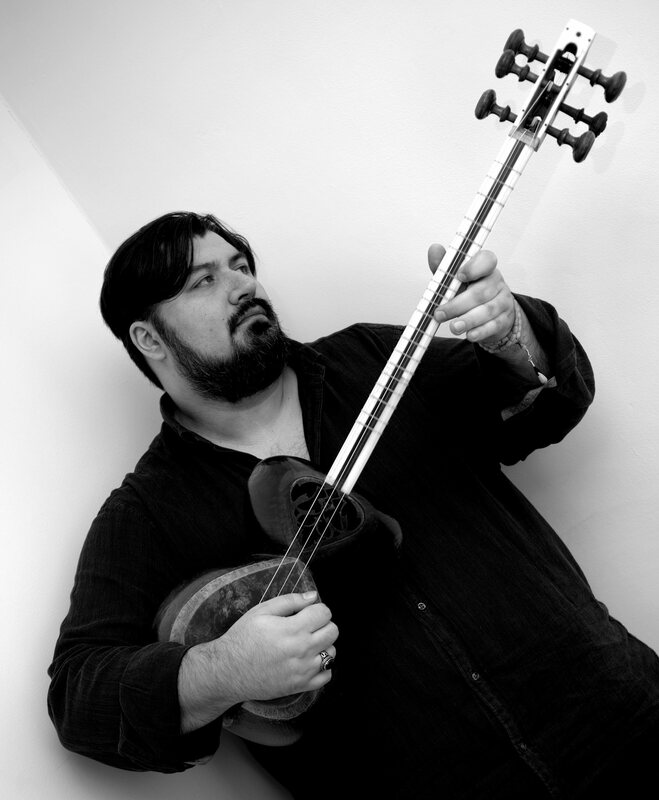 Ajam’s music tries to bring the epic and soulful spirit of the native music of Iran to a new generation. The band’s repertoire comprises of original pieces that are set to a post-modern soundscape of traditional, rural and tribal instruments fused with urban and rock beats and bass lines and production sensibilities. Ajam’s performance style is inspired by different elements of Iranian ‘people’s’ music such as street and market place performances, music related to traditional sports and competitions, religious passion-plays and ritualistic performances and recitals. The vocal performance mirrors this vibrant sonic blend by presenting a mixture of roots styles such as the once popular ‘Bahr-e-Taveel’ and other traditional/folk singing styles with hints of modern inspiration. All this is delivered in a dynamic performance, which incorporates elements of dance and movement. Ajam is a cultural experience of Iranian Roots Music.